There’s a Awful Lot of Coffee in . ..
Brazil is the world’s largest coffee producer and although espresso may be considered to be Italy’s national drink (with 14 billion espresso coffees consumed each year), according to Bloomberg.com Europeans with the highest coffee consumption per capita are the Scandinavians (Finland, Norway, Iceland, Denmark) with France, Italy and the US almost neck to neck or should I say cup to cup. The tablescapes of the Italian tavola can be as rustic as a rural casa colonica or as refined as a Renaissance villa. 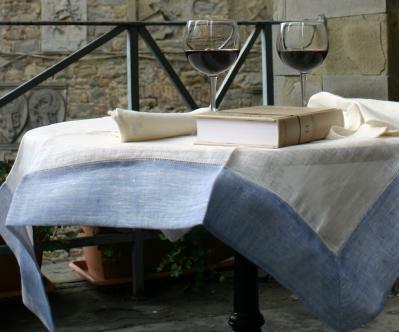 The evocative colors, textures and patterns of Italian linens are the artistic canvas for the diverse styles of Italian place settings that range from the ceramics of Gubbio, Deruta and Montelupo to the elegant designs of Arte Italica. Known for both functionality and beauty, Italian linens have an extraordinary variety and depth of color that is unequalled. The most famous centers for weavers were Florence, Siena and Anghiari in Tuscany and Montefalco in Umbria. Umbrian linens share tables with wine glasses of Sagrantino as hand-made ceramic espresso cups and coffee mugs of Italian Maiolica (also known as “majolica”), with the characteristically unique designs of Umbrian ceramics, bring your meal to a perfect ending. True espresso is produced using hot water and a powerful shot of steam. The espresso grounds under pressure yield an aromatic pool of dark, delectable coffee with a honey colored froth or crema on top that makes “Prendiamo un caffè?” ( loosely translated to mean “Let’s have a coffee?”) the standard Italian greeting heard several times a day. But while “true” espresso can only be made in an espresso machine, it is possible to make espresso in a stove top Moka pot (my Italian friends and family do this all the time) or dare I say in a French press. However pressing matters and the force generated by the delicate French press coffee plunger cannot compare with 9 bars (8.8 atmospheres of pressure or 130 pounds per square inch), the typical accepted pressure needed for brewing espresso. 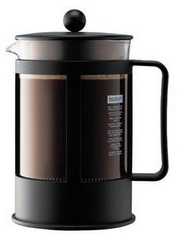 Using a French press does require a coarser ground coffee so an espresso grind cannot be used. 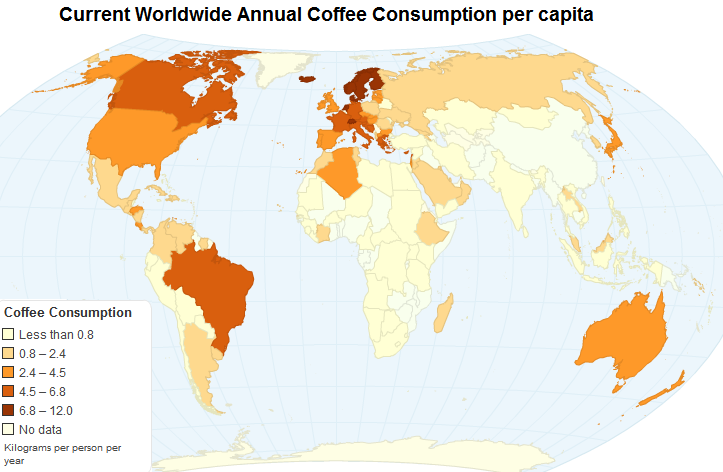 What results is different but good and for French brewed coffee lovers a pressing matter they take very seriously.